Don’t laugh now, but the last time I was in the Unites States was when I was 16 years old! That was many moons ago in the 1980’s. Last fall, I finally got my family passports to travel abroad the perimeters of our beautiful country and visit our good neighbours down south. Our first trip to the USA is in Syracuse, NY this weekend. I cleaned the outside and inside of the Van, and filled it up with gas and windshield fluid. I really like that clean Van smell when travelling! My family road trip packing check list is done, so I am all set for our departure! The drive should take about 3 hours and 25 minutes from Ottawa, depending on how long we wait at the U.S. Border. We will spend three days visiting attractions such as WonderWorks, the Pole Position Raceway, and Most (Museum of Science and Technology). Other popular attractions include the Rosamond Gifford Zoo and the Eric Canal Museum, and a friend of mine suggested we have to eat at Tully’s. The hotel in Syracuse where we will be staying is the renown Double Tree Hotel by Hilton! We will definitely go shopping at Destiny USA, the 2.4 million square foot mall, so now this gets me thinking about how much I can spend duty free on this trip. Thankfully, I found the information on the web. The good news is that, apparently last year, the duty free amount increased to up to $800/ per person if you stay more than 48 hours. Yay! Charge it! If you only spend between 24 and 48 hours the personal exemption is $200. I always bring snacks and drinks in coolers when we travel, but I am concerned about bringing food into the U.S. I found this page on the U.S. Customs and Border Protection on travelers bringing food into the U.S. for personal use. Many products are restricted depending on the country of origin and if the country is affected by certain diseases. We may be able to bring in food such as fruits, meats or other agricultural products depending on the region or country from which you are traveling, but this gets tricky, so I think I will avoid them and purchase them in the States. It looks like bread, cookies, crackers, cakes, granola bars, cereal, chocolate, candy, condiments are acceptable. Canned goods and goods in vacuum packed jars (other than those containing meat or poultry products) are admissible. After all, I will make sure we eat our meal before we arrive at customs, and just bring the snacks mentioned above. It’s also mention on the site that failure to declare food products can result in up to $10,000 in fines and penalties. Good to know! 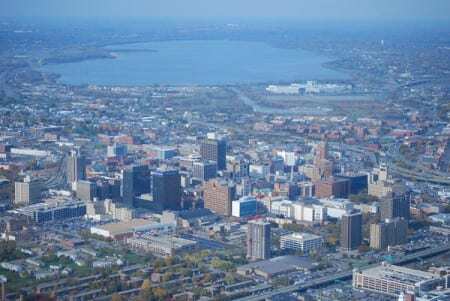 For more information on visiting Syracuse, you can view their tourism office web page! You can follow our family trip on the OMC Twitter account www.twitter.com/ottawamommyclub and the hashtag #visitsyracuse. Ohhh how fun! I hope you have a great time…you’ll have lots to do 🙂 I haven’t been to NY in a LONG time..since I was a teenager, but remember it was pretty awesome 😉 Hope you enjoy! I’ve never been to NY City before! Gosh am I ever dying to go! Just seems magical! 3 and a half hour drive seems pretty easy to travel too! The best thing about Syracuse is the SHOPPING!! Oh fun! we love a good road trip! we just drove 25 hours to Florida!! we will probably take the boys to NY soon!